Located minutes from Sky Harbor International Airport in Phoenix, the luxurious Sheraton Wild Horse Pass Resort & Spa sits on land unspoiled by urban sprawl, where wild Spanish mustangs are often seen thundering across the desert–land owned by the Gila River Indian Community. No details were spared in the creation and services offered at the resort’s Aji Spa & Salon. The 17,500-square-foot spa features treatments inspired by the culture and healing herbs of the Pima and Maricopa people. Sedona, Ariz., is known for its New-Age quirkiness and as a vortex of spiraling spiritual energy flow. It’s no wonder people are drawn to seek the healing and spirituality surrounded by breathtaking giant red rock spires and formations. Mii amo, which means “journey” in the Yuman language, offers a rich array of culturally infused treatments, and it’s the signature Inner Quest treatment that offers clients a spiritual journey. Located at the base of Mount Timpanogos, the rustic luxury of Robert Redford’s Sundance Resort in Sundance, Utah, serves as a perfect year-round vacation spot, with its nearby skiing in the winter, and the rest of the year for guests to explore the 6,000 acres of surrounding wilderness. It’s also the perfect setting for the Spa at Sundance, which bases its Native-themed spa on the four directions, winds and seasons. While they don’t have a Native director on staff, they don’t profess to be scholars on American Indian history either. The Tulalip Resort Casino opened the 14,000-square-foot T Spa last October. A select few of Native-inspired treatments are in-depth, taking more than two hours to nurture the body. Amenities are cozy and luxurious. Massage rooms feature a double-sided fireplace, and both the men’s and women’s areas are equipped with eucalyptus steam rooms and cedar saunas. Influenced by Coast Salish culture, the signature five-hour Canoe Puller package begins with a re-energizing body ritual, followed by a mud bath, deep tissue bolus massage, skin resonance vitamin infusion facial, Native Stone Ritual For Feet and lunch. The Skaná Spa, located inside the Lodge hotel at the Oneida Indian Nation’s Turning Stone Resort in Verona, N.Y., may be one of the only spas on the East Coast offering Native-inspired treatments. What makes this spa unique is the opportunity for clients to participate in a sweatlodge ceremony. It was constructed by the Nation with the help of the Oglala and Lakota Sioux tribes, and framed out of red willow and draped with buffalo hides. Like a sauna or steam room, it cleanses the body, but is definitely a sacred ceremony, a place to pray and cleanse the soul. Select spa treatments utilize ingredients used by Oneida healers. For instance, the White Pine Foot & Body therapist uses white pine as an analgesic to relieve the pain of sore muscles and joints, and mint for its soothing properties. Located inside the plush La Posada De Santa Fe Resort & Spa in Santa Fe, N.M., the 5,000-square-foot Avanyu Spa offers Native- and Southwest-inspired treatments with delicious and inviting names. The Spirit of Santa Fe is the signature treatment that takes clients on a journey with the four directions of the medicine wheel, including a blue cornmeal and tobacco scrub, ceremonial sage tea, cedar oil massage and a sweetgrass tea herbal wrap.Comment: I think this is the third or fourth spa article Indian Country Today has run. I hope these articles are objective journalism and not some sort of product placement. Review: 'Public Enemies'Though any number of name actors, including Lili Taylor as a confident sheriff and Giovanni Ribisi as gangster Alvin Karpis, make appearances, what's unusual about "Public Enemies" is Mann's determination not to have any face be an ordinary one. A full 15 people (led by Avy Kaufman and Bonnie Timmerman) are credited with casting work on the film, and every face that appears on screen, from the members of Purvis' Chicago FBI squad to youthful junior G-men, are clearly hand-picked for individuality and impact. Mann's attention to nominally small things, his insistence that every detail be authentic, including the clothes (Colleen Atwood is the costume designer) and the often historic locations (Nathan Crowley is production designer), lend a sense of rightness to the entire endeavor. One of the interesting side effects of this exceptional care is to make "Public Enemies" so real it seems to transcend its period and exist out of time. Though the Depression was a major factor in Dillinger's career, we don't see or feel it all that much. What we get instead is the sense of a man whose name has lasted until now for a reason and, if the movies have anything to say about it, will last longer still.Comment: Apply the above lessons to any Native-themed movie. Choosing Native faces rather than generic ethnic faces gives the movie more impact. The attention to accurate details gives the movie a sense of "rightness." The movie feels so real that you willingly suspend your disbelief. You're transported out of your seat into the world on the screen. This is how Michael Mann makes critically acclaimed movies. Mann's movies might also make money if they weren't star vehicles: Colin Farrell and Jamie Foxx (Miami Vice), Tom Cruise and Jamie Foxx (Collateral), Will Smith (Ali), Al Pacino and Russell Crowe (The Insider), Robert DeNiro and Al Pacino (Heat). Only Collateral made money domestically. Incidentally, Mann also made The Last of the Mohicans with Daniel Day-Lewis and Russell Means. Not the greatest movie, but at least it made money. Authentic movie-making plus authentic (and low-budget) cast = profit. 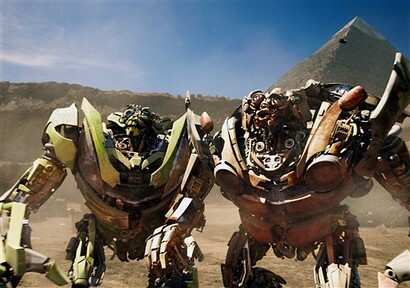 People are criticizing the pair of jive-talkin' robots in the new Transformers movie. Some commenters offer some key points that also apply to Native portrayals. I don’t care if it’s about giant robots or if it’s Shakespeare, every single thing you’re complaining about was a choice that the movie’s makers made. With a budget that big, no one made decisions without thinking about it and choosing among many options. These things don’t happen by mistake. Does anyone really expect me to believe that, given how much money the last one made, and how much they expect this one to make, that they just threw a bunch of things against the wall and were surprised by the outcome? Of course not. It may not require much thinking on the viewer’s part to watch the movie, but the same can’t be said for those who made it. The fact that it’s about giant robots fighting each other makes the racism even more egregious. There’s nothing necessarily racist about giant robots fighting each other. Therefore, you have to really go the extra mile in order to inject the racism. And Michael Bay did. He has no excuse whatsoever. Michael Bay’s comment disturbs me. He doesn’t seem like he’s making an effort to understand how offensive the movie is to People of Color. Yes, Mr. Bay, we know they’re robots, but they’re voiced by real people. When they’re given human and stereotypical traits, they’re not “just robots” anymore. The audience laughs at them because they’re familiar with the stereotypes.Comment: Consider any negative depiction of Indians--for instance, the cannibals in Pirates of the Caribbean. How did Jack Sparrow end up meeting maneating Carib Indians rather than peaceful Taino Indians or no Indians? Jerry Bruckheimer and company chose to portray stereotypical Indians as villains, that's how. He decided his $200 million (or whatever) movie would work best if audiences rooted for the white captain against the brown savages. Native American women's dream comes true in PragueCharlene Thomas, general manager of the Native-American Haudenosaunee team, had taken her "girls" to Prague for the women's lacrosse World Cup--the first such event for the team that will only celebrate its first birthday in August. "We wanted to see our girls have their dream come true and this day, this year has done it for them," said Thomas, a retiree who does her current job as a volunteer. Haudenosaunee (Iroquois) is a confederacy of the Mohawk, Oneida, Onondaga, Cayuga, Seneca and Tuscarora nations living mostly in upstate New York and the Ontario province in Canada. It joined the international women's lacrosse federation IFWLA only two years ago, after complying with the Native American tradition. "We presented our request to the chiefs, and they gave us consent," said Thomas. Unlike their counterparts in men's lacrosse, the Iroquois Nationals, who have played at four World Cups to date, the women's team was officially established only in August 2008.Comment: For more on the subject, see Iroquois Team Takes Bronze and Lacrosse Crosses the Pacific. Below: "Dutch lacrosse player Jantien Van Der Kooij (right) fights for the ball with Katie Smith of the US Haudenosaunee at the women's lacrosse world cup in Prague, on June 24." Santa Ana Pueblo's Paquin continues quest to grow golf in Southwest"The leadership invested time to teach the tribal members how to play golf and that effort has led to more than 500 members who have hit a golf ball," said Paquin, adding "this has led to a solid 200 members who play on a regular basis." To defray the cost burden on tribal players, tribal members play for free at Santa Ana Golf Club and receive a discount at Twin Warriors. Tribal members who do not have clubs can even use the tribal rental sets for free. That is how many tribal members learned the game.Native American youngsters receive expert instruction at clinicWith a heritage of building its own success stories in growing the game, some 20 Sun Country PGA Professionals met 90 Native American junior golfers Saturday for more than a traditional afternoon of golf instruction. The Native American Youth Golf Clinic, hosted at Twin Warriors Golf Club, was preceded by a proclamation by New Mexico Gov. Bill Richardson, whose signed document proclaiming June 27, 2009, "Native American Youth Golf Day" in the state.Comment: For more on the subject, see Native Golf Tour. The 1963 movie McLintock! is another of those transitional films that, from the 1950s to the 1970s, started doing Indians justice. As such, it's an odd mishmash of good and bad moments. The first Indian we meet is Davey Elk, who has short hair and is dressed as a gentleman. As he notes, he's college-educated, the fastest runner in town, and the telegraph operator. Unfortunately, he's played by Latino actor Perry Lopez, who was the Indian scientist in The Time Tunnel and Esteban Rodriguez in the Star Trek episode Shore Leave. Indians led by Running Buffalo come to town to meet the chiefs returning from Washington. They look like Plains Indians, which is okay if the movie is set in Oklahoma. They appear to be real Indians, not actors of other ethnicities. The Indian agent objects to their leaving the reservation without permission. When a white woman disappears, the townspeople think the Indians kidnapped her. They prepare to hang Running Buffalo. McLintock intervenes, leading to the famous fight scene in the quarry. Running Buffalo walks through the fighters without being touched. Other Indians stand on sidelines and watch the crazy white men. They decide to leave the "party" because there's no whiskey. Davey wants to ask Rebecca for a dance. Some men accost him for this, leading to a brawl. Led by Chief Puma, the chiefs return from Washington on a train. They've secured the release of the Indians--probably Comanches--held at Ft. Sill. Unfortunately, Puma is played by Australian actor Michael Pate. Puma greets his friend McLintock, whom he once rescued, with a Navajo "yah ta hey." Nearby, Indians in a circle perform a powwow-style drum song. Neither one is appropriate for a 19th-century Oklahoma setting. Note: It's unclear where McLintock! is supposed to be set. If it's in Arizona rather than Oklahoma, the movie's got more problems than I thought. Comanches or Plains Indians in Arizona? Not. Puma asks McLintock to speak for the Comanches at a hearing with the governor. McLintock does in this scene. The Indians are few but proud, says McLintock. They'd rather die as men than live as captives. As usual in a John Ford-style film, Wayne's character blames the government for treating the Indians badly:Agard, if you knew anything about Indians, you'd know that they're doing their level best to put up with our so-called 'benevolent patronage' in spite of the nincompoops that've been put in charge of it!It's plausible that the Indians might ask a "great white father" to speak for them. But it's also plausible that they could've spoken for themselves--perhaps through a translator. There's a bit of paternalism going on here. McLintock makes a good case for them, but he doesn't address the underlying issues. How did he become such a huge landowner on what was formerly Indian territory? Who broke the treaties and forced the Indians onto reservations in poor locations? If "nincompoops" and other bad people can corrupt the reservation system, is the system any good? McLintock/Wayne never questions US policy. He assumes the land is his and the Indians have gotten what they deserve. The only question is whether the government treats them fairly or unfairly as conquered subjects. Alas, the governor is unmoved and orders the Indians to Ft. Sill. But McLintock concocts a plan. One of his confederates gives them guns, and they ride through the streets shooting and causing mayhem. And...that's it for the Indians. This display of wildness is supposed to distract the governor from sending them off, or something. In reality, it would bring a swift reprisal from the military. If anyone was thinking of letting the Indians remain free, it's no longer an option. McClintock! is definitely a mixed bag when it comes to Indians. Could've been better, could've been worse. I guess that's all you can expect from a John Wayne movie. As for the rest of the movie, the critics are right that it's a broad comedy, fun but sexist, not Wayne's best but watchable. Rob's rating: 7.5 of 10. School needs to regulate hair? By Micha J. StoneSix months ago a federal judge ruled the school district violated the constitutional rights of Adriel, a kindergarten student, for not letting him wear his hair according to his Native American religious beliefs, Needville Independent School District officials have appealed the ruling before the 5th U.S. Circuit Court of Appeals. To "regulate its population"? Is this a school or a concentration camp? The whole episode is outrageous and screams injustice. Adriel has been punished all year long for his hair, forced to be alone in a room with a teacher, not allowed to attend class or socialize with peers at school. Since the sixth day of the 2008-2009 school year, Needville Elementary School officials began placing Adriel in in-school suspension for coming to school with long hair (hair tied in two braids worn outside his shirt). “Upon arriving at his classroom every morning, Adriel is escorted away from his classmates and into another room where he sits with his ISS teacher for the rest of the school day,” the suit states. “Adriel endures this segregation for over seven hours every day with no opportunity to engage in group learning or social play with other children during class or on the playground,” the suit states, adding that the Texas Education Code says ISS can extend for no longer than three days." The cruel and ugly intolerance is mind boggling. Aside from religious discrimination it is also sexual discrimination, because girls are not expected to keep their hair short. It is an attempt to deny history and cling to a past filled with oppression and discrimination.Comment: I thought this case was more or less over. So the school is appealing, and while it does, it's isolating Arocha with his own teacher for the whole day? Amazing. This is yet another example of white privilege. Who determines whether children can wear long hair, cornrows, mohawks, tattoos, piercings, etc.? The white people who run the school district. The norm is whatever they say it is. Would an Indian school district rule against long hair also? Probably not, even though Indian schools also need to maintain order. The inevitable conclusion is that regulating hair isn't necessary to maintain order. It's a cultural imposition unrelated to discipline. For more on the subject, see Long-Haired Boy Goes to School and School District vs. Five-Year-Old. Produced by “Pirates of the Caribbean” hitmaker Jerry Bruckheimer, “The Lone Ranger” isn’t due in theaters until 2012, so it would seem that Johnny has plenty of time to figure out how to give us a unique take on Tonto that isn’t just the old-fashioned stereotype of a Native American. The first draft of the film is currently being penned by “Pirates” writers Ted Elliott and Terry Russio. “I’m just waiting to get the right script, you know?” Depp said of when he’ll really start brainstorming ideas. Although it might seem odd to some that Depp is scheduled to play the Lone Ranger’s sidekick, I can’t help but think back to one of my favorite movies in Johnny Depp’s career: the Jim Jarmusch not-Western, “Dead Man.” In it, Depp is brilliant as William Blake–-a man who becomes immersed in the world of Native Americans, effectively becoming one. So I couldn’t help but ask: will his Tonto have anything in common with his William Blake? “No,” he said of his “Lone Ranger” role. “This is pretty different; pretty different.”Comment: The last time Bruckheimer and his writers portrayed Native people, they gave us the gibbering cannibals in Pirates of the Caribbean: Dead Man's Chest. Is there any reason to think they'll do better this time? Or will their Tonto be a generic Indian at best, a stereotypical caricature at worst? For more on the subject, see The Lone Ranger. I just watched the Friday's Child episode of Star Trek (the original series) for the umpteenth time. Here's a summary:The Federation is in competition with the Klingons for an alliance with the inhabitants of Capella IV. The Capellans are a warrior tribe and there is dissension among them as to who to sign the mining rights treaty with. McCoy is familiar with their customs having once spent several months there. When a Capellan, who clearly favors the Klingons, stages a coup, Kirk, Spock and McCoy flee with the now dead leader's wife, who is about to give birth.Friday's Child is a thinly veiled study of European colonialism. The Capellans could represent Indians or any other indigenous people. The spacefaring races could represent the British, French, or other colonial powers. Kirk calls the Federation the "Earth federation." He (or writer D.C. Fontana) doesn't even pretend that the Federation is a union of various species. As Azetbur put it in The Undiscovered Country, "The Federation is nothing more than a homo sapiens only club." The Federation supposedly was founded by humans, Vulcans, Andorians, and Tellarites. How many times did we see Vulcans, Andorians, and Tellarites in positions of Federation authority? How many times did they give orders to humans? Once or twice in the 79-episode history of TOS, at most. Kirk is offering the Capellans medical or agricultural help in exchange for mining rights. It should be obvious that simply appearing from outer space with advanced technology will be enough to influence the Capellan culture. Setting up a mining-based economy will change the Capellan culture more. But Kirk is offering to do even more than that--to explicitly upgrade the Capellans' technology. How is the arrangement not a blatant violation of the Prime Directive? When the Teer (leader) is killed, his wife Eleen is supposed to die with him. She's ready and willing to do her cultural duty. But Kirk intervenes and saves her, and McCoy delivers her unborn baby. Instead of dying, this baby eventually will inherit the tribe's leadership. It's as if Kirk chose which wife and child of King Henry VIII should form the ruling house of England. Rarely if ever have the Federation's people violated the Prime Directive so egregiously. The Capellans are holding Kirk and company captive because the Federation people have violated their laws or taboos. Kirk and company flee to the hills and fashion bows and arrows. They kill one or two Capellans with no warning, ambushing them from behind rocks. These Capellans were only obeying their leader's orders, enforcing their culture' laws. But Kirk and Spock clearly think their right to be free supersedes the Capellans' right to live. They react to the Capellans as if they're animals. Moreover, the Capellans never developed the bow and arrow. Kirk has introduced a dangerous and destabilizing new technology to them, another massive Prime Directive violation. Because the Enterprise is out of range, Kirk says he doesn't expect the "cavalry" to ride over the hills and save them. In other words, he's implicitly comparing the Federation's people to the US Army and the Capellans to Indians. In fact, the situation is vaguely reminiscent of Custer's Last Stand. Eleen is or was ready to sacrifice herself. She has no feelings for her baby and wants to get rid of it. Maab the new Teer sacrifices himself so his aide can kill the villainous Klingon. Clearly these savage Indians Capellans care little or nothing about life. They throw away their lives the way the rest of us throw away the trash. What would happen if Kirk and the Federation didn't get their way? We saw an example of that in Errand of Mercy. Kirk couldn't conceive of the Organians not wanting to cooperate with the Federation. He was ready to go to war rather than let the Organians live in peace. Yes, he thought the Klingons would take over Organia. But the Organians made it clear they were choosing noninterference. Kirk had no right to say, "We know better than you, so you must follow our lead." Has an alien species ever simply refused to have contact with the Federation? In the ST novels, surely, but in the TV series? I think there were some in TNG, but some emergency inevitably compelled contact. After that, Picard and company's openness and goodness inevitably convinced the aliens to change their ways. For more on the subject, see White Super-Race in Paradise Syndrome and Noble Savages in Paradise Syndrome. P.S. The novel Ghost-Walker by Barbara Hambly may be the best exploration of colonialist issues I've seen in an ST novel. Check it out if you're interested. Little love this summer for A-list actorsHollywood's movie studios, hopeful that marquee-name actors would push their summer box-office receipts to record levels, are finding that the heavyweights aren't winning over audiences like they used to. With all but a couple of big-budget films already opened, the summer of 2009 is shaping up to be one of the worst on record for Hollywood's A-list talent. The studios stocked this summer's release schedule with so-called star vehicles, including "Land of the Lost" with Will Ferrell, "Year One" featuring Jack Black, the comedy "Imagine That" with Eddie Murphy, and Denzel Washington and John Travolta in a remake of "The Taking of Pelham 123." But rather than igniting ticket sales, the star-studded movies have dramatically underperformed. The brightest stars of the lucrative popcorn season--which typically accounts for about 40% of annual ticket sales--instead have turned out to be mostly movies with no-name actors--or no actors at all on screen. So far, the summer's most profitable film has been Warner Bros.' surprise hit "The Hangover," a $35-million-budget R-rated comedy about a bachelor party in Las Vegas that boasts not a single household-name actor but has reached $183 million in U.S. ticket sales since its June 5 opening and is expected to exceed $200 million. Other summer hits like J.J. Abrams' "Star Trek" and Michael Bay's "Transformers: Revenge of the Fallen" showcase eye-popping visual effects along with up-and-coming talent. And, the highest-grossing summer movie so far? Walt Disney's Co.'s "Up," the Pixar-animated movie starring the voice of . . . Ed Asner.Comment: Once again, Hollywood is stupid. Hiring big-name stars such as Johnny Depp to play Tonto is no guarantee of success. Hiring little-known actors such as the Indians in New Moon is the way to go. If any directors, producers, or financiers think otherwise, they're wrong. The evidence proves it. The only problem with this analysis is that the phenomenon is nothing new. It's been going on for years, if not decades. For more on the subject, see Fallacy of the Big-Name Actor. By Susan OlpThe annual presentation, put on by the Hardin Chamber of Commerce and Agriculture, is told from the perspective of the Indians, written by Crow historian Joe Medicine Crow. A series of narrators take audience members through a brief history of that time, describing the lifestyle of the Plains Indians, the explorations of Lewis and Clark, the coming of white settlers by wagon train, the pain of broken treaties and the increasing tensions that lead, finally, to the battle. At the start of the pageant, Medicine Crow sings a tribute to Custer and to Crazy Horse, the Sioux warrior who led the band that encircled and then killed Custer and his soldiers. Then a recording of taps is played to honor those who died in the battle.Comment: Interesting that the Indians would sing to Custer as well as Crazy Horse. It could be an example of their values at work. Mainstream Americans honor only our side because that's all we care about. Indians honor everyone who fought, including the enemy, because they respect the warrior spirit more than victory. For more on the subject, see Review of Little Bighorn Remembered and Reenacting Little Bighorn. Tim Giago: McDonald's mentality needs revampAn extremely weak and calculated response from McDonald’s came to the newspaper in short order. It read: “At McDonald’s we value and respect people of all ethnicities, as well as their cultural history. The Night at the Museum: Battle of the Smithsonian Happy Meal features eight toys portraying different characters from the film. As with all Happy Meal promotions, our goal is to provide families a positive experience that can be shared by all.” Say what? A positive experience? Who are they trying to kid? The response was signed by Danya Proud, Spokesperson for McDonald’s USA. After the Native Sun News attempted to get comments from McDonald’s corporate executives for the breaking story, suddenly all of the Custer dolls were pulled from the Happy Meals in Rapid City. The same thing happened in some communities in Oklahoma and New Mexico, states with large Indian populations. 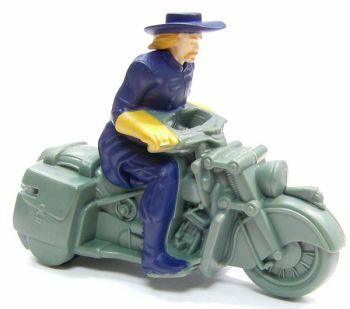 Surely someone at McDonald’s was taken aback by this outrageous faux paux and ordered the removal of the offending figurines.Comment: For more on the subject, see Custer Toy Is Movie Promo and Happy Meal with Custer Doll. Lisa Jones's memoir is framed by two vivid incidents, both involving horses. At the opening, she watches Stanford Addison, a quadriplegic Arapaho healer and horse whisperer who lives on Wyoming's Wind River Indian Reservation, teach clients the art of gentling. Later, Addison supervises a horribly botched gelding. Jones is far more focused on what the first event says about Addison than on the implications of the second. She becomes a frequent visitor to Addison's home and a believer in his mystical powers. Her spiritual search is at the center of the book, but it is not the most interesting part. Self-searching is a tricky topic, and it is also hard to see Addison in the same idealized light that Jones does.Comment: For more on the subject, see The Best Indian Books. By Melissa MerliA tip to the local Crimestoppers led to the arrest of Mark Nepermann, who faces a misdemeanor charge for the theft of two of the artist's signs, part of his "Native Hosts" series, from in front of the Native American House on the UI campus. The state put a value of less than $300 on the pieces, making the charge a misdemeanor rather than felony. Heap of Birds, as well as many other American Indians and artists in the community, believe the signs are fine art and should be judged according to their appraised value, which would lift the theft charge to a felony. "We see it as pattern of behavior of treating American Indians as second-class citizens, both on this campus and in the community," said John McKinn, assistant director of American Indian Studies at the UI. "It's just another attempt to devalue American Indians and their experience. It also speaks to the lack of education we all have for what constitutes art." 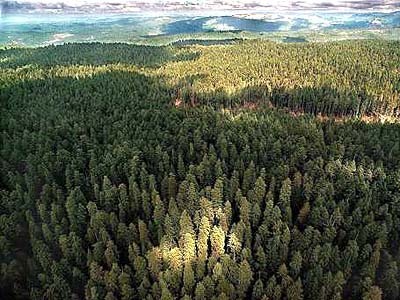 Two different professional appraisers valued 12 similar Heap of Bird "Native Hosts" signs in British Columbia at $120,000, or $10,000 each. One of those appraisals, by a Canadian appraiser, was given to the Champaign County state's attorney's office. State's Attorney Julia Rietz said the appraisal will not affect her decision related to the charge against Nepermann, a recent UI graduate. "It's not proof to me of the value of these signs," she said of the ones in Urbana. She instead based her decision on an invoice, given her by the UI police, from the American Logo and Sign Inc. in Moore, Okla., that the signs for the Urbana public art exhibit were sold to Heap of Birds for $88.65 each. The artist had the signs manufactured at the company. "This is the evidence that I have of the value of these signs and simply because Mr. Heap of Birds attributes a higher value to them doesn't mean I can use that as proof in court," Rietz said. Heap of Birds said the "Native Hosts" signs are fine art and that the value of a work of art is never based on the cost of materials or the manufacturer's cost. Taken into account are many factors, among them the concept behind the work, aesthetics, the prices of previous sales of the artist's work and his or her reputation.Comment: The best way to determine the signs' value would be in a free-market auction. But that probably isn't possible in this case. The pieces seem to reside in the middle of the spectrum between plain signs and fine art. I'd say the value of each sign should be somewhere between $300 and $10,000. For more on the subject, see Anti-Illiniwek Sign Damaged. By Vincent SchillingBill Miller, a northern Wisconsin Mohican, is a Grammy award-winning musician, performer, songwriter and painter. In his career he has produced more than a dozen popular albums and most recently has conducted performances with Wisconsin’s La Crosse Symphony Orchestra entitled “The Last Stand” to commemorate Custer’s Battle of the Little Bighorn of the Great Sioux War of 1876-77. ICT: Why focus on Little Big Horn? Miller: I have been going out to that area with my grandfather since I was about 9 years old--we used to go and camp out every summer to Yellowstone River. He would take me to the battlefield and I have been studying it since that time. I always wanted to give my own artistic version of it from a Native point of view, different tribal point of view and an artist’s point of view. When I was given the opportunity to do this when I was commissioned by the La Crosse Symphony Orchestra, I jumped on it. When I took it to Israel, it was a whole other trip. One of the conductors was doing an artist in residency from Israel and he heard about this and asked if I could come to Israel with the orchestra for two weeks. I stayed in Tel Aviv.Comment: For more on the subject, see Native Symphony with Sea Chanties and Lewis and Clark Symphony and Documentary. By Clifton AdcockEight young Cherokee bicyclists will tackle a nearly 1,000-mile Remember the Removal Ride, which follows one of the Trail of Tears routes, in the searing summer heat. But it's a chance for them to see the same countryside their ancestors saw when they were forced at gunpoint to abandon everything. The riders, ranging in age from 15 to 24, will begin Saturday in Rome, Ga., near the old Cherokee capital of New Echota, following the northern Trail of Tears route through parts of Georgia, Tennessee, Kentucky, Illinois, Missouri, Arkansas and Oklahoma before ending in Tahlequah. Along the way, the cyclists will camp at night, visit and learn about historical sites intertwined with the forced march, and visit the known graves of those who could not complete the journey.Comment: For more on the subject, see Trail of Tears Motorcycle Ride. By Kathryn Star HeartThanks to a grant from National Geographic, aquatic ecologist Dr. Zeb Hogan and his television crew spent several days at the Kootenai Fish Hatchery in April to film and explain to the American public the Kootenai Tribe of Idaho's significant contribution in perpetuating the white sturgeon population in the Kootenai River. As part of the Megafishes Project, Zeb leads the National Geographic project to find, identify, protect and study the world's largest freshwater fish. The Megafishes Project investigated and created a documentary film about the huge white sturgeon found only in the Kootenai River.Comment: For more on the subject, see Native Documentaries and News. By Cris Ornelas[Tom Bee] had a successful recording career of his own, but in the 1970s, he wrote two of The Jackson 5’s hits. The first was We’ve Got Blue Skies. Bee still remembers the first time he met Michael in a recording studio in LA. “I had this really nice turquoise ring on my finger and I noticed he kept looking at it and I said do you want to try it on and said sure and so I took it and put it on his finger and it fit and I said you can have it and he thought that was the coolest thing ever." Then Bee wrote another song for The Jackson 5 for their last Motown album called Joyful Jukebox Music.Comment: For more on the subject, see 2008 Grammy Nominees. Author of Novels About Plains Indians Dies Don Coldsmith, a family physician who gained fame as the author of the Spanish Bit Saga novels about the Plains Indians, has died. He was 83. Coldsmith, 83, died Thursday at the University of Kansas Hospital in Kansas City, Kan., said his wife, Edna. She said he suffered a stroke June 20 after attending the Western Writers of America conference in Oklahoma City. Coldsmith was the group's president in 1983-84. In 1990, he received its Spur Award for "Changing Wind," one of the Spanish Bit Saga series. Coldsmith began work in the 1980s on the Spanish Bit Saga novels, which chronicle the momentous change in the lives of Plains Indians wrought by the introduction of the horse by Spanish explorers.Comment: For more on the subject, see The Best Indian Books. Chickasaw film continues to wow festival audiences“Pearl,” a movie produced by the Chickasaw Nation and Media 13, opened the ninth annual deadCENTER Film Festival with a sold-out house Thursday, June 11. The film is a biopic of Chickasaw aviatrix Eula “Pearl” Carter Scott and follows her through childhood and teen years as she becomes the youngest licensed pilot in America.And:“Pearl” was shot primarily in Oklahoma and about 60 percent of the cast is local, of which several are Chickasaw citizens. Visit www.pearlthemovie.net for up-to-date information on “Pearl,” the cast and crew and future showings.Comment: For more on the subject, see Elijah DeJesus as Pearl and Pearl Trailers. Open letter to Blake GriffinI studied the Clippers' mess for three days, put everything on paper and tried to figure out a common thread. Blaming Moses Malone was too easy. Why would Moses curse the Clippers? The man could barely speak. Blaming Bill Walton ignored three seasons of misfortune that came before him. Blake, this went deeper than one person. This was karmic. This was creepy. This was like … they'd been hexed. Like they had built an arena on a sacred burial ground or something. And that's when I realized what happened. In a way, they did mess with a sacred burial ground. They messed with the Indians. And you don't mess with the Indians. Ever. When the NBA awarded Buffalo an expansion franchise starting in the 1970-71 season, the team named itself the "Braves" to recognize Buffalo's Native American history. That's when the trouble began, Blake. For Native Americans, there was no more important animal than the buffalo. They depended on it for survival. They wore its fur as clothes. They revered the "white buffalo"--a rare type of buffalo, almost as though it was albino--and considered it to be sacred. By linking the word "Buffalo" with "Braves," a commonly known term to describe Native American warriors, the team's owners were basically announcing, "We are embracing the Indians and representing them in an honorable way." For God's sake, look at their first logo. It's an Indian headdress on top of a basketball face; instead of facial features, we see a blue buffalo. In their second season, they changed the logo to a fancy "B" with a feather sticking out of it. The message remained clear: We are embracing the Native Americans. Starting to get worried, Blake? You should be. Everything went swimmingly for the first six seasons in Buffalo. Led by North Carolina star Bob McAdoo (who won three scoring titles and an MVP award), the Braves put themselves on the map with playoff battles against two future champs (the Celtics in '74 and '76) and a really good Bullets team in '75. Everything turned in the summer of 1976, the same summer we celebrated our country's 200th Independence Day. (Yes, a country we stole from the Native Americans. I'm going to say this was a bad omen.) Twenty days before the Bicentennial, on June 14, Buffalo owner Paul Snyder announced he was selling the Braves to a group that planned to move them to Hollywood, Fla.
Only one problem: Nobody wanted the Braves to move. The other NBA owners hated the thought of accruing extra travel costs flying down to Florida just because Snyder sold out. The town of Buffalo was furious and immediately blocked the move with a restraining order and a $10 million lawsuit. And since the league was merging with the ABA that same month, this was an additional headache the league didn't need. The sale fell through. But not before two things happened. First, McAdoo turned off the locals by saying about a potential Florida move, "It doesn't make any difference to me, as long as I can play and get paid for it." Thanks for the support, Mac! Second, there was a karmic shift against the franchise; from that moment forward, everything started to go wrong. And why? Because Paul Snyder messed with the Indians!!! How many times have we seen a horror movie or a Western in which someone desecrated sacred Indian territory in some way? Does it ever turn out well for them? Ever? Hell, even the Amityville Horror house was built over a sacred burial ground. That's why I believe in this curse over the other media-manufactured ones: In this case, we have ample evidence that, no, it's not a great idea to mess with Native Americans from a karmic standpoint. And Paul Snyder did.The solution Simmons proposes to Griffin:Again, I would start running right now. But if you choose to stay, I have an idea: Trek into the desert like Jim Morrison did in "The Doors," bring Gordon with you, drop some acid and try to connect with a Native American shaman. Or you could fly to Buffalo with Baron and Gordon, find some sacred ground and make some atonements. Maybe you could even bring a white buffalo with you. Just make sure you do something. This is bigger than you. And us. Good luck breaking the Curse of the Sacred Buffalo.Comment: It was mainly the Plains Indians who hunted buffalo, not all Indians. And I don't think they literally considered the buffalo "sacred." I don't think they've ever protested using a buffalo as a sports team name or product name. Simmons was doing okay until the final paragraph, when he mixes a mishmash of stereotypes: shaman, dropping acid, sacred ground, white buffalo. He's probably clueless about the hundreds of different Indian cultures across the country. I'm pretty sure the Seneca who lived in the Buffalo area didn't worship the "sacred buffalo." Until that point, Simmons was trying to be respectful toward Indians. He's obviously joking about Indian burial grounds and curses. But he probably shouldn't take this approach, even in jest. What are people going to think? "He's joking about Indian burial grounds and curses this time, but Indian burial grounds often are cursed, right? Why would people talk about them if there wasn't some truth to the stories? Where there's smoke, there's fire." At a minimum, they'll think: "Buffalo Braves...warriors with bows and arrows...chiefs in headdresses (as on the logo)...sacred buffalo. He's probably joking about the burial grounds, but isn't it interesting that there were chiefs and braves living in tipis and hunting buffalo in Buffalo? Those Plains Indians sure got around." In other words, he's reinforcing the stereotypes even as he joshes about them. 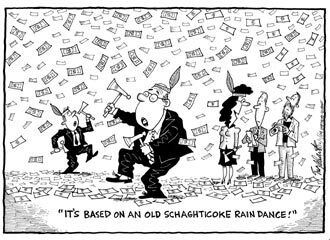 It's the same problem we see with Plains chiefs and tipis in other settings. Even if they're historically and culturally accurate, they reinforce the idea that all tribes had headdress-wearing chiefs who lived in tipis. Simmons's satire obscures the difference between Plains Indians and Haudenosaunee (Iroquois) Indians to the point of invisibility. To him, all Indians are the same. That's the real problem here. For more on the subject, see Team Names and Mascots and The Basic Indian Stereotypes. "It started with Chihuahuas taking over the world and using celebrities as their minions," Tso laughed. Then, moving on to the popular Twilight film, Tso said that "Jacob Black would be like (pantomiming a paw slashing the air) 'Raaaaahhhhhr, I'm a werewolf,' and he would be controlling Edward Cullen--but then we found that [our script] had no message to it. "So then I told about some stories that I learned from a friend of mine, who is Quileutes; she told me about how Summit Entertainment (the company that filmed "Twilight") made over four million dollars and they only paid the Quileutes Tribe a thousand dollars to film on their reservation, so we wanted to make a story because Jacob Black is supposed to be a Native, so we kind of wanted to overdramatize that, while making it funny and serious at the same time." 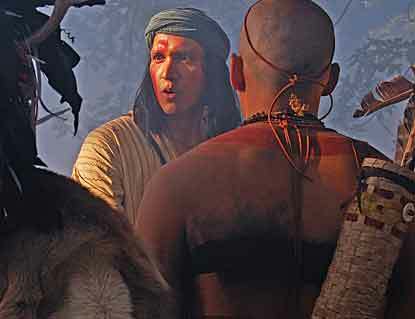 The controversy highlights one of the frustrations of being a Native American actor--sparse roles, stereotypical characters--and the fact that Native actors are passed over for roles in mainstream films--such as FBI agents, waitresses, race car drivers, or astronauts.Comment: It's the Quileute tribe, not the "Quileutes" tribe. I hadn't heard that the Twilight people did any filming on the Quileute reservation. But for using their identity and culture, one could argue the Quileutes deserved a lot more than $1,000. I also hadn't heard that Lautner was spray-painted to look like a Native. He's naturally tan, and he didn't look any darker in Twilight than he did in, say, My Worst Enemy. Anyway, I'm glad I'm not the only one talking about this controversy. I'd like to see what The Sun Sets on Twilight has to say about it. Below: "Raaaaahhhhhr, I'm a werewolf!" 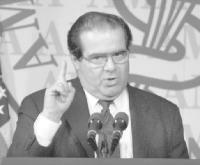 Scalia and the "pretense of conquest"
By Peter d’ErricoIt’s a bad sign when a Supreme Court justice disrespects a young Indian woman, Nazune Menka, when asked about the Carcieri v. Salazar decision against the Narragansett Nation, and worse when the justice mocks the case itself, calling it “a laugher.” Aside from what CBS News calls Scalia’s “nasty” style, what allows him to show such mockery and disrespect? The actual basis of federal Indian law, as Marshall’s quote shows, is not conquest, but “pretense of conquest,” based on “Christian Discovery” and “ultimate dominion.” This is what Scalia’s comment covers up. Marshall, at least, had the honesty to call it what it was.Comment: For more on the subject, see How Europeans Claimed the World and How Europeans "Discovered" the World. By Jennifer BellamyNative Americans from across Georgia gathered in Hawkinsville to warn young people about the dangers of tobacco in the Native American Indian Youth Anti-Tobacco Summit. It's a three-day event that started Tuesday and runs through Thursday at noon. The goal of the summit is to teach children from an early age how harmful tobacco can be, while preserving its traditional uses, like during religious ceremonies or for medicinal purposes. Lance Allrunner, with the Native American Cancer Research Corporation says tobacco products people buy in the store is different from tobacco used for traditional reasons. He says commercial tobacco has more toxins. He wants to see more young people working to make positive changes.Comment: For more on the subject, see Anti-Tobacco Talent Show. by Dean ReynoldsIt started as a dream of one Dennis White back in 1987, to build a race track near his residence on the Akwesasne Indian Reservation. It’s located on Frogtown Rd. and aptly named the Frogtown International Speedway. The circular 4/10ths mile oval has run weekly since but has struggled in some of those years. While White is basically retired from the speedway and now with help from the Swamp family, the Lazore’s and the Thompson’s what was known as Frogtown has now switched to a new name of Mohawk International Raceway (MIR). The name change was just a start, since last year over seven digits have been invested into the facility making it one of the most modern dirt tracks in either US or Canada.Comment: The article doesn't say, but since the raceway is located on the Akwesasne Indian Reservation, I presume the tribe owns it. For more on the subject, see Barona's Motocross Training Center and Pala Motocross Track. For a similar subject, see Six Nations Stock-Car Race. Rez Strongman competition this weekend in SchurzThe 2009 Rez Strongman competition is scheduled for this Saturday and Sunday, June 27-28, at the Walker River Paiute Tribe Fitness Center in Schurz. There is no weight class this year and the first 30 entries will be accepted. There are some new events this year and organizers are looking for great competition again this year. Last year's winners were both from Fallon, Chris Hinkey taking the heavyweight competition and Buster Litton winning the lightweight category. Too many Indians, or not enough? In Calif. Tribes Are "Highly Questionable"? I rebutted the main argument of Jim Marino. Now he's back with another anti-Indian screed that need rebutting. Who Is a Native American Indian? By Jim MarinoThe basic answer to what appears to be a simple question is that an “Indian” is whoever the particular tribe says is an Indian. Now any person can claim to be part Indian, just as many say they are part Irish on St. Patrick’s Day.This is an excellent example of a non sequitur. Tribes determine who's an Indian...true. Any person can claim to be an Indian...true, but irrelevant. It doesn't matter what people claim since, as Marino just stated, tribes determine who's an Indian. I guess Marino is implying some sort of linkage. I.e., if anyone can claim to be an Indian and a tribe buys the claim, the tribe will make the person an Indian whether he is one or not. But the key link in this chain of "reasoning" doesn't exist. Tribes don't buy the claims of just anyone. They accept people only if they meet the tribe's strict criteria.More and more people are laying claim to be “Indian” or part Indian often with the hope of cashing in on the huge profit distributions in per capita payments paid out to tribal members of federally acknowledged Indian tribes, bands or communities with casinos.True but irrelevant, again, since tribes determine who's an Indian. What non-Indians claim has no bearing on tribes' enrollment decisions.Typically, there are controlling families within tribal groups who hold sway over membership issues. There are several recognized groups of California “Indians” who have only one, two or perhaps a handful of members. So any new members admitted are often family members of existing members.Yes, that's true in some cases. So what? Before, Marino was implicitly arguing that tribes were letting in anyone who claimed to be an Indian. Now he's arguing that some tribes are too strict--letting in only family members and excluding other verifiable Indians. Since these are two radically different arguments, which is it? Does Marino even realize that he's stupidly shifted arguments in the middle of his screed? "Wannabe" Indians?These federal Indian policies have created no shortage of hardship and injustice to real Indians and no shortage of corruption by those “wannabe” Indians trying to scam the system now that gambling casinos are here.Which "wannabes" are those? Marino has yet to outline a method by which a tribe that determines its own membership would accept a "wannabe" claimant. Nor has he given a single example of this happening in reality. In case you haven't noticed, Marino is dissembling to manipulate his readers. He talks about wannabes claiming to be Indians and then leaps to wannabes actually being recognized as Indians. But he doesn't give us the slightest reason to take a leap of illogic with him.A classic example of the potential for abuse of this federal “hands off” policy is the re-creation of a tribe calling itself the Mashantucket Pequote tribe. The founder, “Skip” Hayward, was able to trace a 1/34 ancestry to an old Indian woman living on an abandoned Pequote reservation near Ledyard, Conn. Jeff Benedict recounts the incredible story of how Hayward parlayed that connection into the billion dollar-a-year casino called Foxwoods, in his expose book titled “Without Reservation” (HarperCollins 2000).It's "Pequot," not "Pequote," dummy. And ancestry is calculated by powers of two (1/2, 1/4, 1/8, 1/16, etc.) There's no such thing as having 1/34th ancestry. So much for the accuracy of Marino's research. I haven't read Without Reservation, but I can rebut some of Marino's arguments. The Mashantucket Pequot case wasn't an example of a tribe recognizing wannabes, since the tribe itself wasn't recognized. If Skip Hayward and his people were wannabes, they were recognized by an act of Congress signed by President Reagan. They proved themselves to our elected officials. If you don't like what Congress and the president did, pay more attention the next time you vote. But don't waste our time questioning the democratic process. We elected those people to make decisions for us. If you didn't like their decisions, you should've elected someone else rather than whine about the results. To reiterate, the Pequots were recognized through an act of Congress, a legitimate means of recognition. They played by the rules and were recognized by the rules. So what's the problem? More to the point, their case is only one example. It doesn't tell anything about the other 560-plus tribes nationwide, including the 100-plus in California. It's basically irrelevant. Require 1/2 blood quantum?Perhaps it is too simple a solution, but if one is more than 50 percent of a non-Indian ancestry, then they are not Indian for any legal purpose. After all, if one were 7/8ths German and 1/8th Arapaho it hardly seems like you would be “Indian.”Finally, Marino makes it clear how profoundly ignorant he is. One, tribes have always adopted people of other races and made them Indians. John Ross the "Cherokee Moses" is an excellent example of that. Two, tribal membership is a political decision, not a racial one--as the Supreme Court has ruled. If a tribe chooses to enroll someone who's only 1/8th Indian by "blood," it's the tribe's right.It is a graphic example of how federal Indian policy is so easily manipulated by outside, non-Indian gambling investors seeking to spread casino gambling beyond Nevada and Atlantic City by using the Indian Gaming and Regulatory Act of 1988 and so-called “Indian tribes” as a front.Again, Marino is being stupid or dishonest or both. He's listed exactly one tribe that may be bogus according to his standards: the Mashantucket Pequots. He has yet to identify any other tribes with a problem. He hasn't even described how recognition could be a problem. The US government has recognized few new tribes recently, and almost none by an act of Congress. It has recognized most of California's tribes for a century or more. His phony "argument" is as baseless as the argument against gay marriage. If a homosexual couple gets married, does it affect the previous 560 heterosexual marriages? No. If a tribe is wrongly recognized, does it affect the previous 560 tribal recognitions? No.The ugliest side of this federal Indian enrollment policy is the power it puts into the hands of tribal governments and controlling families, because the fear of any disenrollment becomes a weapon to advance tribal corruption and silence members who do not agree with their government or its policies.The ugliest side of Marino's anti-Indian screed is how he keeps shifting arguments and hopes nobody will notice. Marino's main worry seems to be that tribes are enrolling too many "wannabes." But disenrollment is about removing members who are wannabes. How does removing enrolled wannabes increase the number of enrolled wannabes?! Even if a tribe disenrolls legitimate members, it doesn't help Marino's argument. Regardless of why members get disenrolled, the tribe becomes smaller, not bigger. This contradicts Marino's claim that tribes are trying to enlarge themselves to get more "welfare and grant monies provided to Indian groups." Duhhh. The Pechanga caseOne such vivid example here in California occurred at the Pechanga tribe, another massive and profitable gambling casino between Riverside and San Diego. Once boasting about 900 members, in one fell swoop, tribal Chairman Mark Macarro disenrolled an entire extended family, the Gomez family, in a move commonly recognized as an effort to fatten the profits for the remaining members and families.First, let's get the facts straight. Macarro didn't disenroll people, the tribe and its enrollment committee did. I believe the tribe as a whole ratified the decision. If it didn't vote directly on the disenrollment action, it voted indirectly by reelecting Macarro several times. The only legitimate conclusion is that most Pechanga Indians support the disenrollment action. If they didn't, they'd vote to reverse the decision, or elect someone to reverse it. That they haven't done this signifies their approval. The move to disenroll people isn't "commonly recognized as an effort to fatten the profits" except by the disenrollees. The tribes doing the disenrolling uniformly say they're expelling people who aren't really Indians. Since these tribes don't open their internal decision-making to public scrutiny, no one can say which side is right. And again, Marino is shifting arguments. Let's suppose a tribe has disenrolled people because it's greedy. What does this have to do with tribes recognizing wannabes as Indians? Or with wannabes claiming to be and somehow becoming Indians? Answer: Nothing. Marino is talking about three or more unrelated issues and pretending they're one big problem.Locally, the 152 enrolled members of the Chumash collect $45,000 every month in per capita distribution of gambling profits, while the 700 or so descendants of 1/8th or less ancestry get no money at all.Yes...so? Is Marino saying the Chumash tribe is somehow made up of wannabes? No. Is he saying the Chumash should give money to people of 1/8th or less Indian blood? I don't think so. But if he did say that, he'd contradict his argument that too many wannabes without enough blood are profiting from casinos. You see? This is sheer stupidity. If a tribe keeps wannabes out, it's greedy. If it lets wannabes in, it's greedy. These two arguments are contradictory, but Marino embraces them both. Which proves he has no argument except "gaming is bad" and "Indians are bad." Since Marino writes for Santa Ynez Valley Journal, his real target is undoubtedly the Chumash. Problem is that he can't come up with a real argument against them. Is their recognition invalid? No. Have they enrolled any wannabes? No. Have they failed to enroll anyone who's a legitimate Indian? No. Have they disenrolled anyone? No. Oops. Marino believes that some tribe somewhere has done something wrong. Something to do with recognition...enrollment...wannabes...or something like that. Apparently that means the Chumash must be guilty by association. Because all gaming tribes are corrupt and evil by definition. I wonder what Marino thinks the Chumash should do. Enroll the people who have 1/8th or less Chumash blood? Disenroll all the present members because they're wannabes? Disband the whole tribe because it's illegitimate? All of the above? Or what, exactly? I think Marino is jealous because the Chumash are earning a lot of money and he isn't. Well, boo-hoo, you big crybaby. If your ancestors hadn't committed acts of genocide against them, the Indians would own most of the county. They'd be earning $6,840,000 (152 x $45,000) a month by working or leasing their extensive land holdings. Either way, they're getting what they deserve.Most of us remember the millions the tribes and their outside casino investors spent to legalize casinos in California, and their main argument was how it would get all Indians off welfare and make them self sufficient. They never mentioned “enrolled members” only.Another false argument. The tribes that passed Propositions 5 and 1A talked frequently about governing and helping themselves. In this context, "their people" referred to tribal members, not to anyone with a drop of Indian blood. If Marino was too stupid to understand tribal sovereignty, that's his problem, not the Indians'. And what does helping non-Indians have to do with tribes enrolling wannabes or disenrolling legitimate members? Absolutely nothing. Marino is throwing up every anti-Indian argument he can think of and hoping that one sticks.Unless Congress or the U.S. Supreme Court does something to correct these blatant injustices created by federal Indian policies, then the question of who is and who is not Indian will always be answered, “Whoever the tribe says is Indian.”We still don't know what injustices Marino is talking about. In the Pequot case, he apparently wants the tribe disbanded. I.e., fewer Indians. In the Pechanga case, he apparently wants the tribe to reenroll the disenrollees. I.e., more Indians. In the Chumash case, he apparently wants the tribe to share its wealth with non-Indians. I.e., the same number of Indians, but earning less per person. So we have three different "problems," none of them proved, with three different solutions. That's what I call stupid. Below: Another racist with views similar to Marino's. By Patti Jo KingBetween 850 and 1450, Spiro Indians, with cultural links to the Aztecs, inhabited the region now called Spiro, Okla. The state’s only archaeological park, Spiro Mounds, is considered one of the most important prehistoric Indian sites east of the Rockies. Oklahoma’s first recorded history actually began when Spanish explorer Coronado carved his name on a rock near the Cimarron River. The inscription is on Castle Rock, 20 miles from Kenton, where the old Santa Fe Trail crossed the Cimarron. The Trail of Tears National Historic Trail passes through the present-day states of Alabama, Arkansas, Georgia, Illinois, Kentucky, Missouri, North Carolina, Tennessee and Oklahoma. Each year, thousands of visitors make their way along the trail. A number of interesting shops and exhibits are accessible from the trail. The Cherokee Heritage Center, located three miles south of Tahlequah, is nestled in the Cherokee community of Park Hill. In the center complex sits the Cherokee Nation Museum, a natural-stone building that contains exhibits, a gift shop, archives and a library. Near Tahlequah, the George M. Murrell Historic House is open to visitors. Murrell built his two-story antebellum, plantation-style home in 1845. Murrell was married to Minerva Ross, niece of Cherokee Principal Chief John Ross, and the daughter of Lewis Ross. Along Oklahoma State Highway 80, visitors can tour historic Fort Gibson. The fort was active from 1824–1890. In its first years, it was the western-most U.S. military fort, and key to U.S. military strategy. 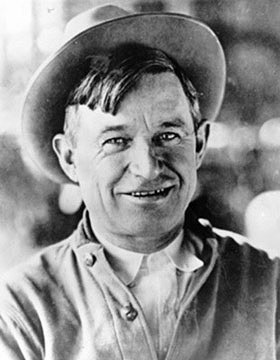 Almost everyone remembers Will Rogers with a smile, and no visit to Oklahoma is complete without a tour of the Will Rogers Memorial Museum in Claremore.Comment: For more on the subject, see Kiowas Relaunch Indian City USA and From Rome to Tahlequah. Below: "The Cherokee National Museum is the permanent home of the Trail of Tears exhibit, a moving interactive display which explores the forced removal of the Cherokees from their indigenous homelands to 'Indian Territory' in present-day Oklahoma. The exhibit is staged in six galleries, each of which focuses on specific aspects of Cherokee history and culture." By S.J. Wilson"If you don't like the news you hear, create your own." This is the premise behind the Outta Your Backpack Media project. Outta Your Backpack is the brainchild of Klee Benally and a group of high school students, founded in 2004 as a project of the nonprofit Indigenous Action Media. "Outta Your Backpack Media was started because of the interest of young people wanting to express themselves in a positive way, especially in recognition that the mainstream press doesn't leave much room for youth and indigenous people," Benally explained. OYBM's most recent victory was at the 2009 National Museum of the American Indian's Film and Video Festival, screening three films, Save the Peaks: Sacred Sites March, Stick Mania, and Graffiti: Art or Vandalism.More on their films:Deidre Peaches and her group produced a music video featuring a graffiti artist, a hobo and someone who witnessed the tagging of "Bob." Peaches explained at the screening of the film that the group had also interviewed participants in the downtown mural project, and that when finished the film will include the positive side of graffiti artists and their work. An incredibly beautiful film depicting a young boy's fantasy of being a pirate was also screened by filmmaker Donovan Seschillie, who took care of lighting for the film. Sheepcamp tells the story of a young Navajo boy living in Flagstaff who enjoys spending time talking to his Cheii about his life on the reservation. One afternoon the boy sits in a park, snacking on canned lunchmeat and drawing his grandfather and his sheep-and amazingly the cartoon sheep come to life.Comment: For more on the subject, see Native Documentaries and News. By Rhett MorganDevotees of Will Rogers can indulge in dioramas this weekend. Thirteen Jo Mora miniatures depicting Rogers' life have been relocated to a single room at the Will Rogers Memorial Museum and will be dedicated during a ceremony at 2 p.m. Saturday. Many of the dioramas—miniature, three-dimensional scenes—have been a fixture of the museum since 1941, but they haven't been in a single room since the early 1990s, said Steve Gragert, executive director of the museum.And:Titled "A View Through the Life of Will Rogers," the dioramas chronicle the famed Oklahoman from his birth in Oologah, Indian Territory, to his 1935 death in a plane crash in Alaska.Comment: For more on the subject, see Rogers Not Recognized as Cherokee and Will Rogers the Cowboy Indian. Contemporary West Coast First Nations art takes the spotlight in new exhibitArtwork that mixes pop culture, spirituality and First Nations culture will be showcased this summer at a vibrant new exhibit at the McMichael Canadian Art Collection. Challenging Traditions: Contemporary First Nations Art of the Northwest Coast features 75 works by 40 active First Nations artists in British Columbia.Comment: The piece below--a thunderbird or raven on a cross--is an awesome juxtaposition of "pop culture, spirituality and First Nations culture." 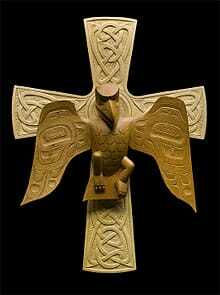 To me it says that Native and Christian stories of creation are the same or similar. For more on the subject, see Eiteljorg Celebrates Contemporary Art and Contemporary Artists Struggle. Roaring Fire Films releases Rez Bomb DVD PremiereThe gripping film is arguably the first truly universal story to be told on an American Indian Reservation. Most films set on reservations are culturally specific but Rez Bomb's story would fit Marseille or Addis Ababa or Rio. In fact it was first written for Edinburgh, Scotland but having spent lots of time on Pine Ridge Simpson wanted to shoot its incredible cinematic texture and to spend the budget where it would make a difference. “The only way to shoot there is fast and loose, crew small and be flexible. But without the great access to the tribe I have it wouldn't have happened. It was a truly unique shoot” Simpson said. “I wanted the film to help break down another barrier in the cultural apartheid in the film industry where only culturally specific films set in Indian Country had been financed and want to push the barriers till any story is set in any community. People with hard lives on reservations don't want to watch movies about how hard life is on a reservation so we provide them an opportunity to watch an entertaining movie with stars they can relate to but that is an escape and doesn't just resemble their bleak daily lives” Simpson said.Every filmmaker claims his story is "universal." I don't think I've ever heard one say, "Our film is particular to certain groups of people. They'll enjoy it but others won't." Telling upbeat and entertaining stories about Indians is good. Telling stories devoid of Indian culture is bad. People are interested in Indians, and if a story can be set anywhere, it's generic by definition. It isn't hard to tell a universal story with specific cultural details. Consider ethnic films that succeed in the US, or foreign films that get remade in the US. Their stories are tied to one culture, but they're universal enough for other cultures. Marketing Rez BombA grass roots marketing campaign is being adopted to ensure that people in Indian Country and beyond who have very limited access to traditional DVD rental and retail mechanisms can buy the film which initially shall be exclusively sold through www.rezbomb.com as if the film is successful then others will follow through reinvestment.Comment: This supposedly explains why Rez Bomb won't be available through Amazon.com, Netflix, Best Buy, or Blockbuster. But it doesn't make much sense. Since most Indians live off-rez, they have plenty of access to retail stores. Indians on remote reservations without nearby stores are also unlikely to have Internet access. And anyone with Internet access can go to online sites such as Amazon.com and Netflix as well as RezBomb.com. Even if Indians have "limited access to traditional DVD rental and retail mechanisms," why force them to go through RezBomb.com? Isn't more access always better than less access? How does RezBomb.com alone serve Indians better than RezBomb.com plus a retail store plus an online site? Sounds to me like Rez Bomb's producers just want to keep all the money for themselves. Okay, but don't spin this as some method to give Indians more access than usual. Consumers want several options at reasonable prices, not one option at a fixed price. I'm not sure the sole-source model will do much to get Rez Bomb noticed. I always thought wider distribution was better. Even if the producers don't make as much--or any--money, people can see the film and advertise it by word of mouth. For more on the subject, see Preview of Rez Bomb and The Best Indian Movies. The uprising In the Amazon is more urgent than Iran's--it will determine the future of the planet[T]he indigenous peoples acted in their own self-defence, and ours. Using their own bodies and weapons made from wood, they blockaded the rivers and roads to stop the oil companies getting anything in or out. They captured two valves of Peru's sole pipeline between the country's gas field and the coast, which could have led to fuel-rationing. Their leaders issued a statement explaining: "We will fight together with our parents and children to take care of the forest, to save the life of the equator and the entire world." Human beings need to make far more decisions like this: to leave fossil fuels in the ground, and to leave rainforests standing. In microcosm, this rumble in the jungle is the fight we all face now. Will we allow a small number of rich people to make a short-term profit from seizing and burning resources, at the expense of our collective ability to survive? There is something thrilling about the fight in the Amazon, yet also something shaming. These people had nothing, but they stood up to the oil companies. We have everything, yet too many of us sit limp and passive, filling up our tanks with stolen oil without a thought for tomorrow. The people of the Amazon have shown they are up for the fight to save our ecosystem. Are we?Comment: For more on Peru, see Peru Conflict = Colonization, The Amazon Tiananmen, and "Sedition" and "Savages" in Peru. For more on climate change, see Indians Know Climate Change, Alaskan Natives Urge Action, and Global Warming vs. Indigenous Rights. By Keith MorrisThe three-day camp held June 11-13 has really grown since the first camp in 1996 featured one sport (football) and drew 91 campers to the Navajo Reservation in Chinle. There were approximately 50 athletes from basketball, football, lacrosse, soccer, track and running and volleyball conducting clinics and offering advice on sports and life in the latest camp. "The camp is specifically designed for Native Americans," said Stephen Stake, coordinator of activities in the White Mountains area for Native Vision. "The coaches come out and they address different issues that Native Americans face and a lot of the leadership workshops and all the entertainment and everything is basically run by Native Americans. All the volunteers here, most of them are from the community." Allison Barlow of Johns Hopkins University's School of Public Health and the Center for American Indian Health, co-founded the program along with former National Football League players Nick Lowery and Clark Gaines.Below: "Darnell Hughey takes part in a football drill at the Native Vision Sports and Life Skills Camp at Alchesay High School on June 12. Hughey will be a senior at Alchesay High this fall." Arigon Starr to Stir Up MidwestThe Red Road is based on a real truck stop owned by a Red Lake Chippewa man along Interstate 5 in Washington. The characters are composites of friends and relatives and people who Starr has met along the way. Starr developed the play with Native Voices at the Autry, the only professional theater company in the U.S. devoted to developing and producing new plays by Native Americans. Native Voices at the Autry produced The Red Road world premiere in 2006 at the Los Angeles-based Autry National Center. The Red Road is being recorded live for NAPT’s Native Radio Theater, a project created in 2005 in partnership with Native Voices at the Autry. The Lincoln production will be directed by award-winning television and audio producer Dirk Maggs of London. Principally known for his work in radio, Maggs pioneered the use of Dolby Sound in BBC radio and has evolved radio drama into “audio movies,” which involves combing scripts, layered sound effects, cinematic music and cutting-edge technology. From 2003 to 2005, he produced new radio episodes of The Hitchhicker’s Guide to the Galaxy.Comment: For more on Arigon Starr, see Native Voices Takes Australia and Super Diva. For more on plays in general, see Native Plays and Other Stage Shows. By Debbie RobinsonThe wife of Vice President Joe Biden will soon receive about 100 dream catchers, with the idea being to lure her to speak at Northeastern Oklahoma A&M College in Miami. Students, staff members and faculty have been building the dream catchers, which are a traditional American Indian craft made of willow and sinew. "American Indian" vs. "Asian Indian"
Seeking advice on "Indian demon"
"Hate the Mexicans (and Indians)"
Quileutes host "Legends of the Wolf"
Calif. tribes are "highly questionable"?